ELIZABETH CITY, N.C. – A huge congratulations is in store for the Dodge Durango, Jeep Renegade, and Ram 1500 that were named the 2016 Consumer Guide Bust Buys for their automotive categories! Consumer Guide determines their winners by comparing and analyzing more than 150 new cars, trucks, minivans, and SUVs available in the U.S. Best Buys are not based only on objective ratings, though, they also compare the price and value consumers are getting. 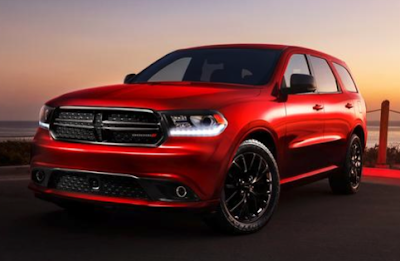 The 2016 Dodge Durango received Large SUV Best Buy for the fourth year in a row. It features uncompromised utility, advanced technology, class-leading towing and driving range, and an edgy style. The 3.6L Pentastar V6 engine helps save fuel and lower emissions as well. Customers can also get the Durango in four new colors: Velvet Red, Light Brownstone, Luxury Brown, and Ivory Pearl Tri-Coat. All models offer a Sport mode as well for a more fun and engaging driving experience. 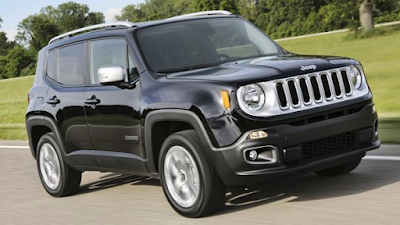 The 2016 Jeep Renegade won the Subcompact SUV Best Buy. It’s great for an on-road and off-road experience with its nine-speed transmission, open-air feeling, and fuel-efficient engine. Customers will also appreciate many safety and advanced technology options. The newest Renegade also offers plenty of additional audio features including BeatsAudio, which includes nine speakers with a 6.5-inch subwoofer and 506-watt amplifier. 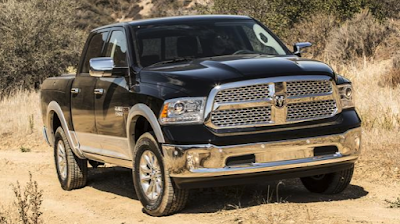 The 2016 Ram 1500 was crowned Large Pickup Truck Best Buy for its eighth year. Underneath the hood you’ll find a standard 5.7L HEMI V8 engine, or you can get the 3.0L V6 EcoDiesel engine with the TorqueFlite eight-speed automatic transmission that offers the highest fuel economy in a pickup at 29 mpg. This pickup offers an exclusive fuel-saving systems, including the eight-speed transmission, thermal management system, pulse-width modulation, and active aerodynamics. We’re very proud the Dodge Durango, Jeep Renegade, and Ram 1500 were named 2016 Consumer Guide Best Buys. All of these vehicles are available at our Dodge, Jeep, and Ram dealer near South Mills, NC. Stop in anytime to take a test-drive and purchase a great vehicle with us!